In order to make some assets work correctly, I need to show to a script what directional light it needs to use. 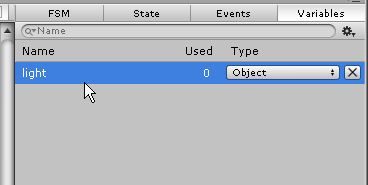 Using the "set property" node, I can set the light component. However, I don't know how to GET the "light" component from a game object. Also, I tried the "get component" nodes, but I can't understand how it works, are they bugged? So TLDR: how can I get a light component in playmaker? My bad, I should've mentioned that I already tried the get property also. 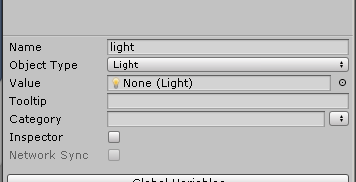 I can access all the values (intensity, color, flare etc...) but I can't get the light object itself into a variable. I doubt that will help you telling a script the light component, what is the api on that script? is it a method, a property? It's been 2 years that I started using PM, and I can't believe I didn't knew that. Now I am able to get any component in my scenes, including a lot of custom assets that I didn't knew was possible. @Jeanfabre : Hey how are you? It's been a while. Well mdostrange's method totally worked, I simply had to create the light object variable, use the "get component" action to store it, and put it on the post effect component using the "set property" action!